The episodes will come in the form of short tutorials presented with humor and authenticity by our host, Ipak. They will focus on Airsoft culture, game techniques and equipment, as well as some tinkering and Do-it-yourself tips. We are currently in a partnership with the French Federation of Airsoft and the FédéGN (French Federation of Live-action Roleplay). The episodes will feature full English subtitling. An English version of our website is also available. Barry Burton Model from the popular video game – BIOHAZARD. The M92F Gas Blow Back Model is target for fans & collectors because of its high detail in replicating the SAMURAI EDGE from the video game. Come standard with S.T.A.R.S. 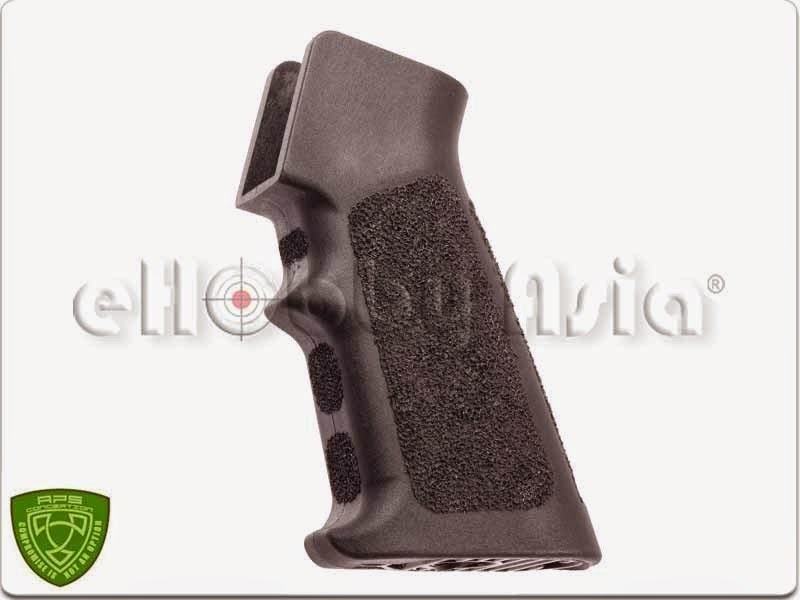 Raccooon Police Badge on Grip & engrave S.T.A.R.S. RPD Special Team on Slide." 6.Knights’s Armament Airsoft (Madbull) URX4 8.5" – 13"
— User friendly mounting Keymod accessories. A recent garment innovation from the water-sports world the ‘wet-shirt’ utilizes a combination of high-tech fabrics in different body areas to provide a swimmer/diver while maintaining optimal comfort. Our professional version goes much further by featuring velcro panels on the arms and chest for unit patches and glint tape. 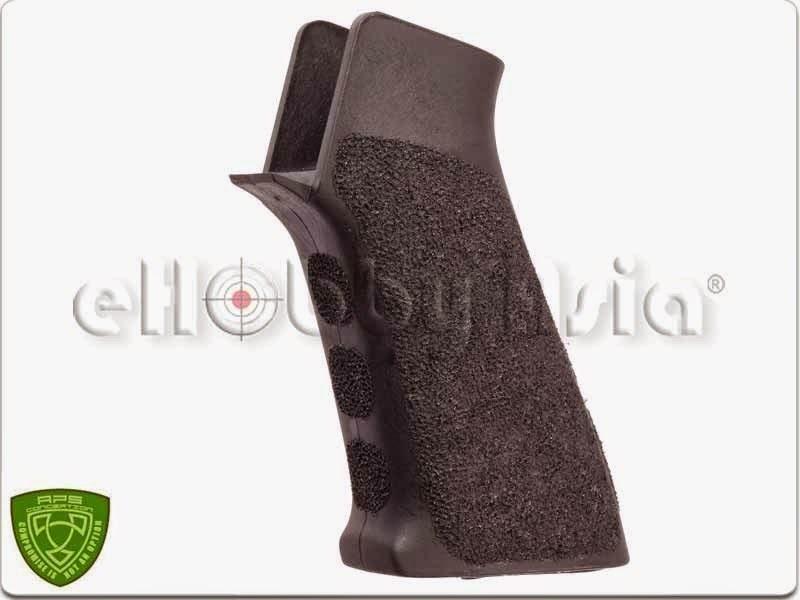 The Magpul Bump Case features two-material construction combining a hard protective shell with an inner shock absorbing layer, low profile PMAG®-style side ribs for added grip, and single-piece snap-on design for easy installation and removal. The Bump Case has the benefits of a hard polymer shell and semi-rigid liner without adding unnecessary bulk. We contributed the new video of FG42 T1 model gun to You Tube. Meet the KING of Slings – DOLG M3 reviewed on RedWolf TV below! New AirSplat video released! Please like, comment, and feel free to repost! NEW IN! The "ARES – VZ.58 Czech EFCS (programmable) Folding Stock AEG" available in both Carbine and Compact variants. "Click Here" to find them on our website. Both rifles feature the EFCS control unit / Mosfet seen within the popular ARES AMOEBA and Honey Badger range. This unit allows you to choose a variety of firing modes including locking the RIF to single shot or having a 3 round burst option. Team Black Sheep: Which AK is better? Looking to get the most realistic Airsoft AK? Check out this blog/review to see that the new E&L AK series is the best on the market when it comes to fit, finish and price! Today I’ll be installed the SHS High Speed long type motor into my Echo 1 MP5A4. In the last video, I installed the SHS 12:1 ratio high speed gear set. The combination of the two should prove to be pretty fun! Slow Mo of my friend Al’s P226, it’s his usual sidearm and has been working for years. So we decided a slow mo of it was on the cards, including randomly putting it in front of a lighter for giggles. NOTE: I own the commercial and non commercial use rights to the music. Music by Johobo2 on Newgrounds. After being captured by Daniel and barely escaping an harrowing fate, Bob the Axe Man learns of the Empire’s plan to transport nuclear material through Delta 14 and mobilizes his forces to intercept the Imperial Convoy to stop their plans. Will the Rebels be able to stop the Imperial Forces or will the Empire come out victorious? 2. Control as many buildings as possible by the end of the game. BB Wars Episode 1: A New Dawn took place at D14 in Sanger, Texas which hosted a MASSIVE +550 player airsoft game. Special thanks to D14, KWA, Bioval, and Jag Precision for helping to make this event possible, stay tuned for more parts coming soon! Paracord Critters Book Link: http://www.amazon.com/Paracord-Critters-Animal-Shaped-Knots/dp/0985557893/ The Locked Chainmail Bar integrates the look of divided chainmail with lateral "locks" that bind the "chains" of the bar in place. Utilizing a series of alternating circled and locked bights to complete the piece, the finished tie makes a firm bracelet, strap, or collar! Barry Burton from the Biohazard Revelations series has had a lot of experience killing zombies, so when Tokyo Marui modeled their latest pistol after his version, Tim jumped at the chance to shoot some zombies himself but then was eaten to death in the process. 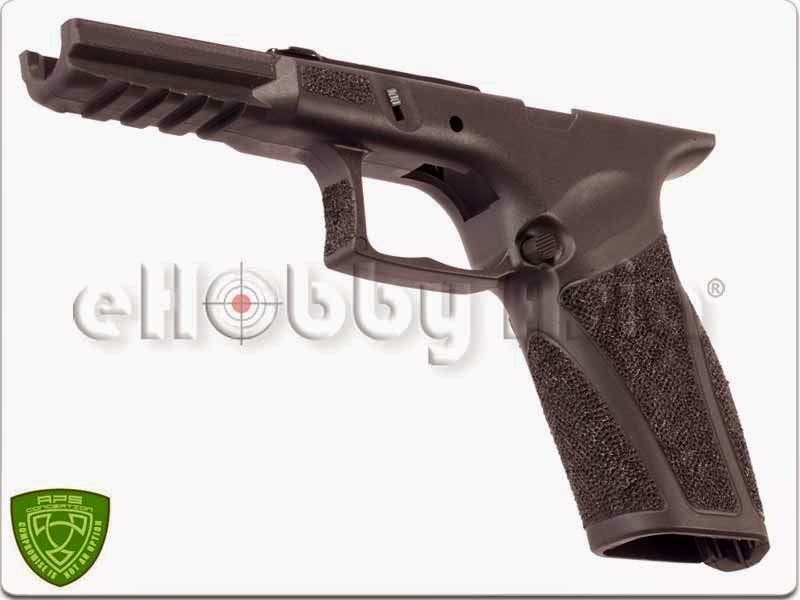 Tang goes over the LoneWolf Timberwolf and compares the 9mm firearm to the 6mm Airsoft version to show they are very close. While at the NRA show in Tennesse Tang checked out the SIRT booth which is a laser training tool for trigger control and other uses. 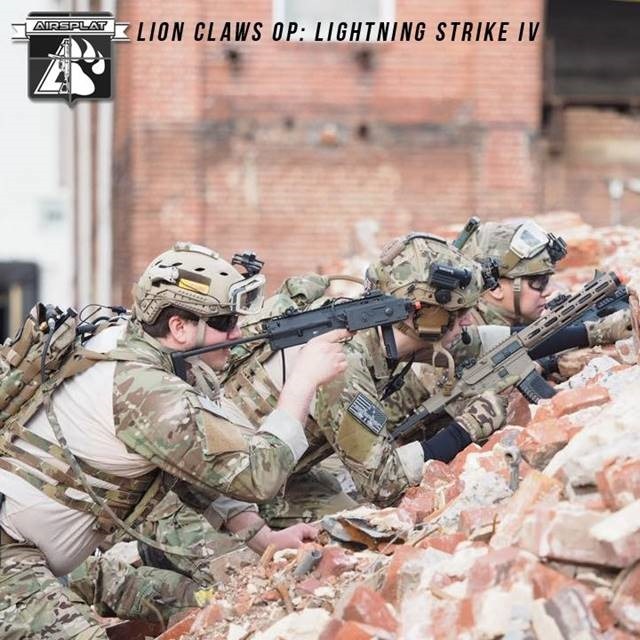 AirSplat sent Airsoft Simulations out to Lion Claws OP: Lightning Strike IV in Williamsport, MD! They’re running our AirSplat Signature Custom PolarStar MP7 along with some other cool guns. Visit the blog for more epic pictures from the event! Have you picked up the latest issue of Airsoft Insider? 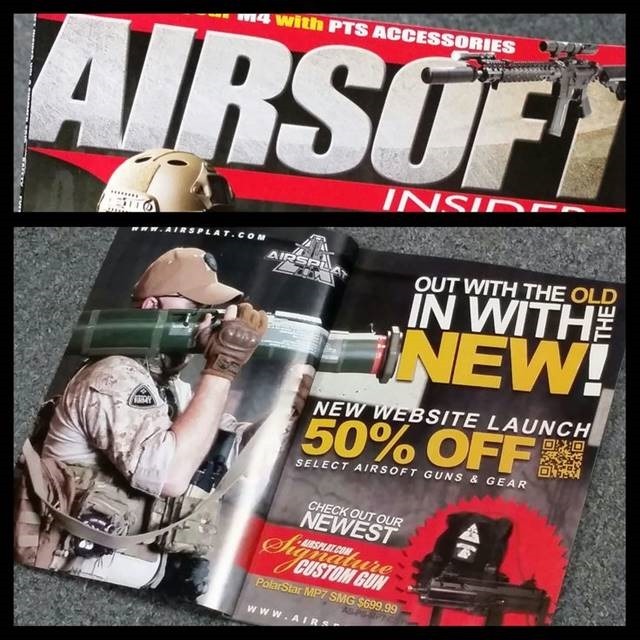 Stay up to date and checkout AirSplat’s feature inside the front cover! 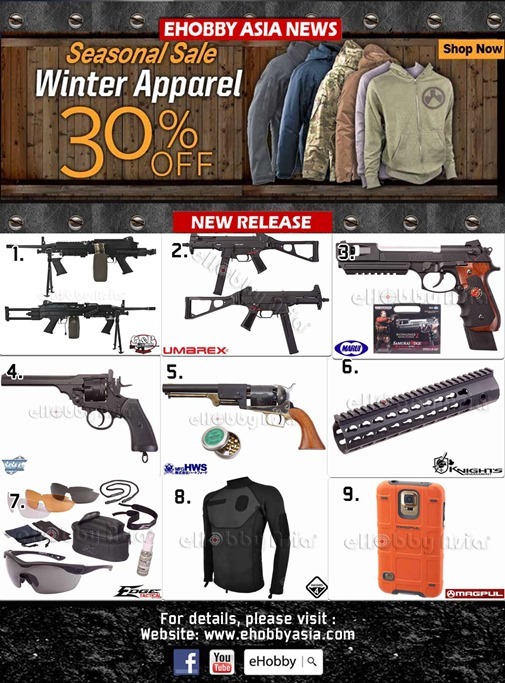 Get 50% off select items at AirSplat! 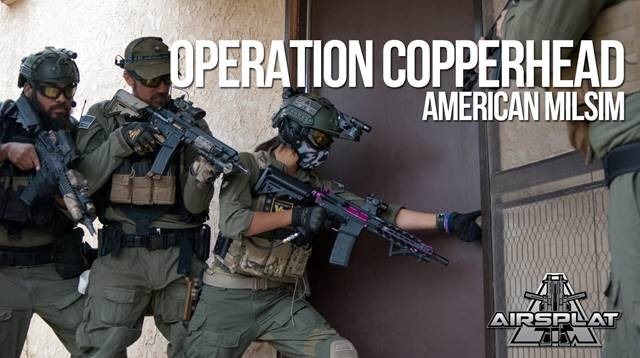 Coupon Code "INWITHNEW"
AirSplat sent AirSplat Paul & AirSplat Kasey out to American MilSim’s OP: Copperhead along with Sponsored Team RedCell in Playas, New Mexico. They had a great time out there and the event was a huge success with over 500+ players in attendance! We donated OVER $1,500 in raffle prizes and AirSplat goodies to the event. AirSplat was also the bag sponsor for this event so if you didn’t get a chance to snag one, pick one up next time you’re at an AMS milsim game at the AirSplat booth! 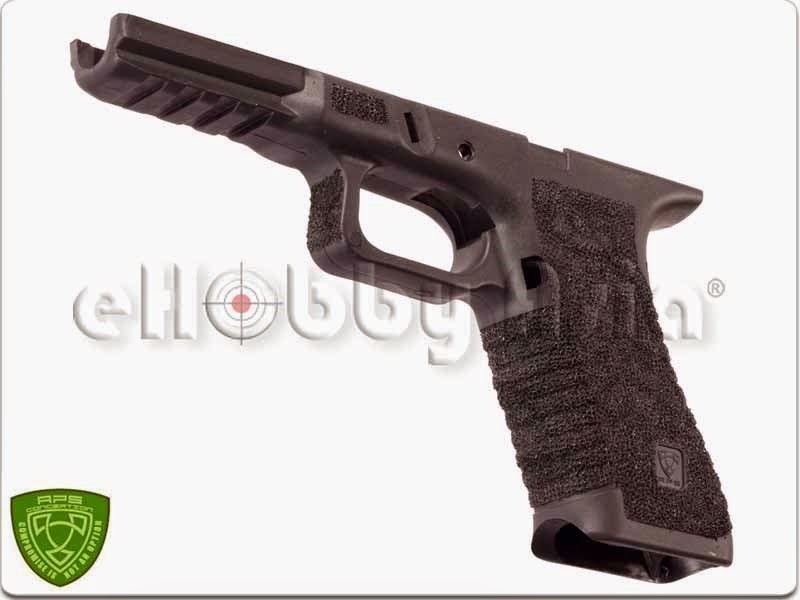 Tactical Trigger for TM M&P9 – is CNC from a billet 6061 Aluminum. Finished with hard anodize which can provide excellent anti-scratch perfromance. 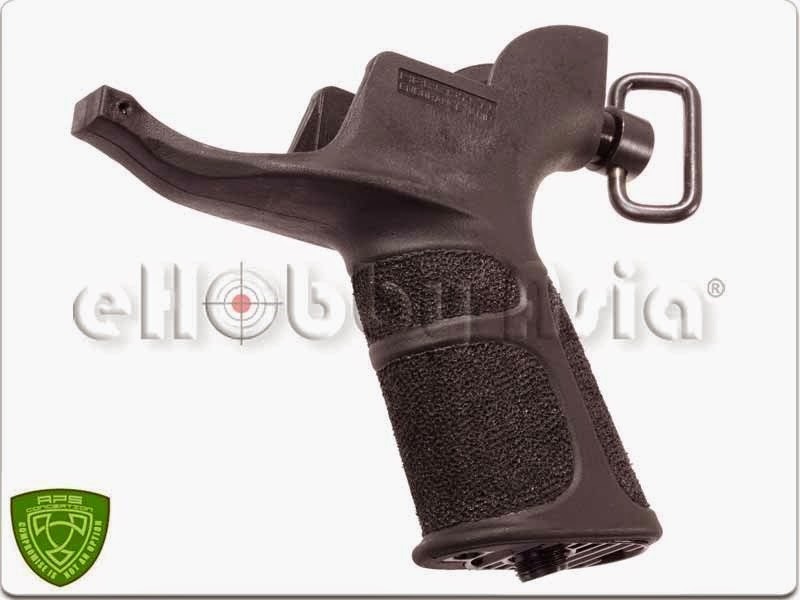 Re-designed flat trigger shape with Glock-like safety mechinism transfer the force of the trigger pull directy to the sear in order to provide a crispy press. Adjustable pre-travel distance allow you have a more sensitive and fast trigger press. Perfect for high speed shooting eg. competition and great advantage for wargame. 2 color available: black / silver. 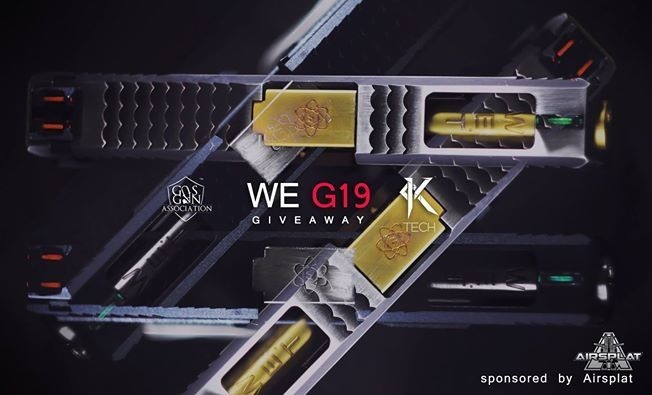 Aluminum Nozzle For WE G17 – UAC first upgrade parts specially designed for WE.Constructed by precision CNC by aircraft grade 6061 Aluminium. Weighing in only 7.7 grams. The aluminum nozzle remains light weight but offers far superior durability and consistency over standard reinforced polymer nozzles. 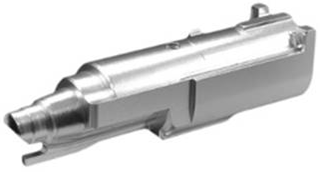 The UAC nozzle will be far more consistent over a polymer nozzle due to its aluminum construction in which it will not flex or warp on hard use. The UAC Aluminium Nozzle can provide a constant, stable and solid blowback for each shot, shooters are more confident and have better muscle memory while shooting/practicing. 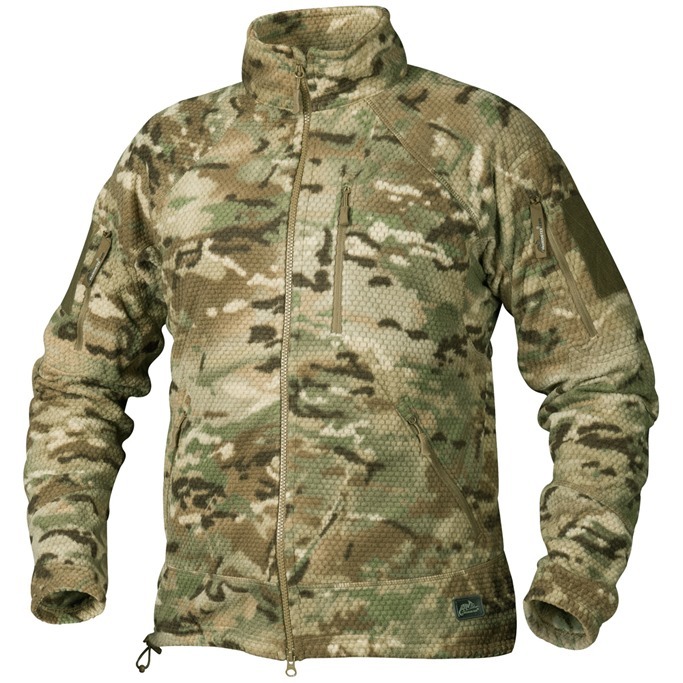 Helikon Alpha Tactical Grid Fleece Jacket is available now at Military 1st! Helikon Alpha Tactical is an enhanced version of the original Alpha Jacket, with 2 bicep pockets and additional Velcro panels for easy personalization. Part of the Urban Tactical Line the jacket features a stand-up collar, and a full front neck-to-waist zipper with a chin guard, 5 pockets and elastic cuffs and corded bottom with quick-locks for individual fit. Ideal to use as a separate layer or a base insulation layer in conjunction with outer soft or hard shells. Made of soft and breathable grid fleece material it provides immediate warmth in low temperature conditions. Mesh lining improves pleasant handling and skin comfort. Moreover lightweight and packable, Helikon Alpha Jacket can be compressed and easily transported in a backpack or separate pouch. 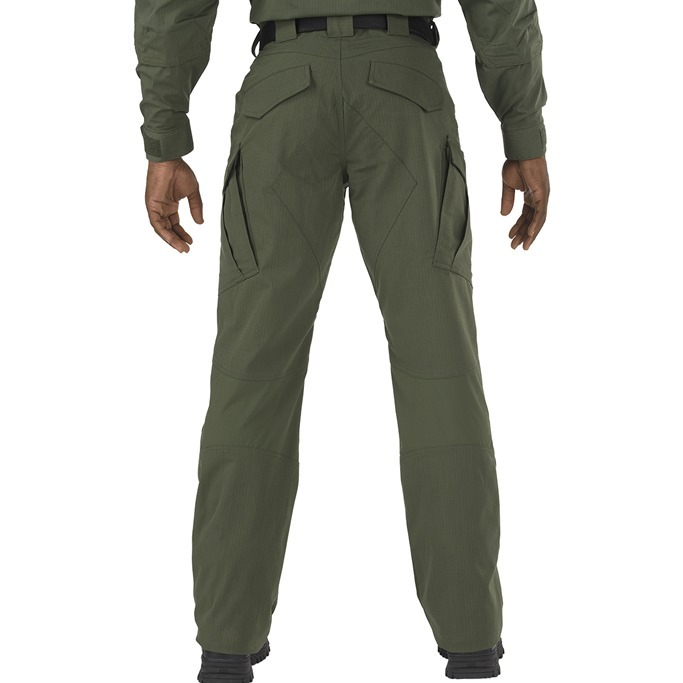 5.11 Stryke TDU Pants are available now at Military 1st. 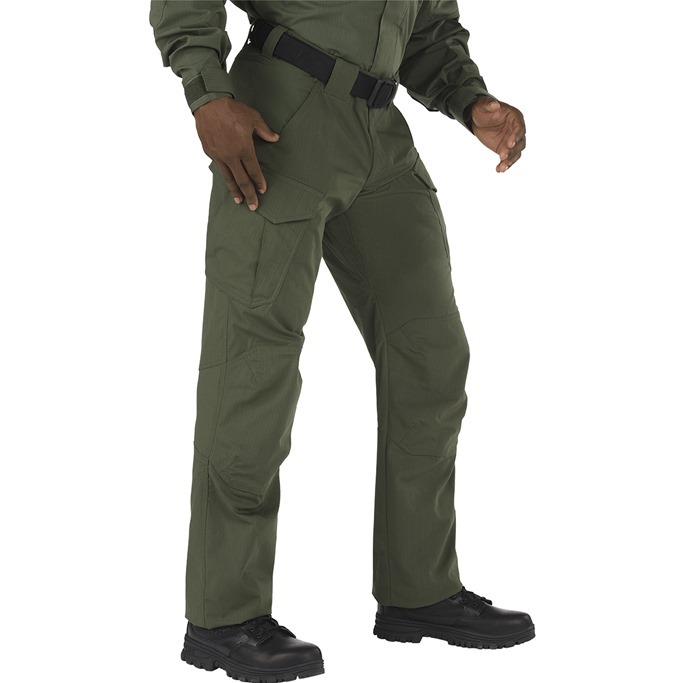 Made from 5.11 proprietary Flex-Tac mechanical stretch fabric, 5.11 Stryke TDU Pants are extremely durable, ultra lightweight and highly functional, and feature canted ergonomic cargo pockets, double layered articulated knees and fully gusseted crotch. Teflon treated construction for stain, liquid and soil resistance they also come with stretch panels at waist and behind each knee, and enhanced bartacking throughout. 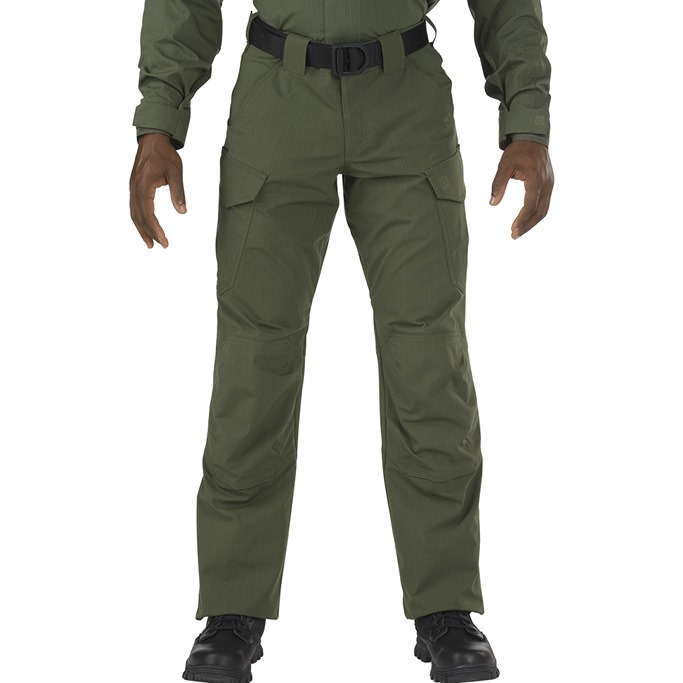 Perfect for any demanding mission, ideal duty uniform wear for any law enforcement, military and security personnel, as well as for everyday use. Go to http://bit.ly/511StrykeTDUPants for details. The only barrels made by deep drilling process (developed for the manufacture of gun barrels). This process results in terms of tolerance, straightness deviation and surface condition, is an unparalleled quality on the current barrels market . We opted for an all brass cannon allow to its coefficient of friction and sliding lower chromium (generally used in precision barrels). You will obtain a speed and optimal trajectory straightness thanks to ADVANCE barrels. Available in the shops near you or online … looking for Advance barrel 6.01. Our production method, our specifications ensure a robust and reliable product, we guarantee lifetime product. 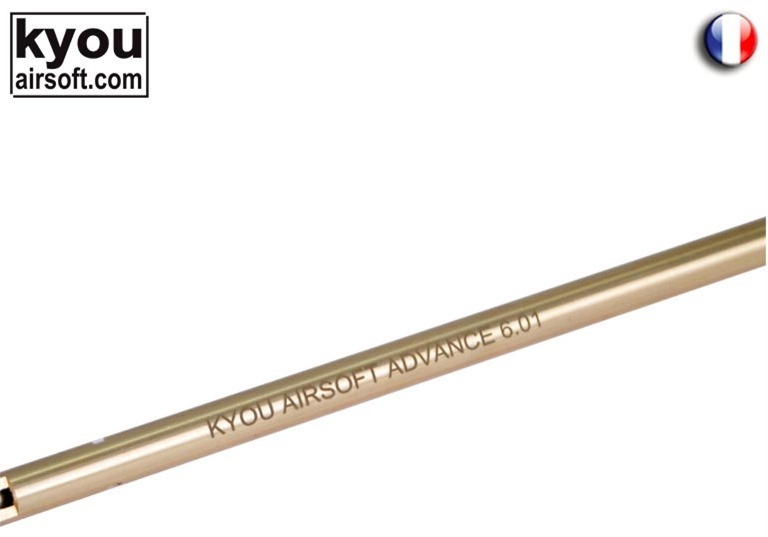 Buy KYOU Airsoft, buy French is guaranteed serenity.